Providing you the best range of ball valve with effective & timely delivery. 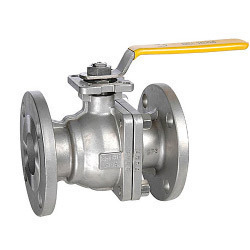 We offer a very economical range of high quality of racer Ball Valve. These products are very compact and efficient. These racer 3 pc designs are full bore flanged end ball valve in 300 classes. We have highly experienced group of professional and we use latest technology machinery, to ensure high quality product delivery to client. These valves are manufactured using very high quality raw material.